Highlights: Poovar Backwater Island & Golden Sands Beach, Kanyakumari, Padmanabhapuram Wooden Palace, Kovalam Crescent Beach, Ponmudi Hill Station, Elephant Safari, Padmanabha Swami Temple, Horse Palace, Priyadarshini Planetarium, Chalai Market, Museum, Zoo, Suchindram temple. 50 minutes drive) & a short and scenic backwater cruise will take you to an Island Resort here, check in. Poovar is a small coastal village enveloped in serene backwaters & flanked by the Arabian Sea on the East. Swaying coconut palms, endless golden sands, the ultramarine of the ocean, emerald backwaters, crimson sunsets and lush green vegetation create a magical ambience around you. All is yours! Own it for 8 days. Poovar is an ideal place for relaxing holidays, totally away from the hustle & bustle of the outside world. As & when you wish take the ferry to enjoy the beauty of Golden Sands beach there. If you are an expert swimmer try the Arabian Sea here. Ayurveda massages, Western Spa, Yoga & plenty of other activities are possible in Poovar. And enjoy the week with below described holidays. Day 3: Half day tour to Kovalam – After delicious breakfast a short backwater cruise with 30 minutes drive will take you to Kovalam Beach. Enjoy the beautiful Crescent shaped beaches. There are three such beaches and a massive rocky promontory on the beach, has created a beautiful bay of calm waters ideal for Swimming, Snorkeling & Surfing…. The shore is fringed with plenty of restaurants offering all kinds of sea food available locally. Rock in the shallow waters of Crescent Beaches and in the evening try seafood dinners by choosing the fish of your taste. Back to Poovar. Day 4: Half Day tour to Thiruvananthapuram – City Sightseeing in the afternoon. Visit Horse Palace, Padmanabha Swami Temple, Chalai Market, Museum & Zoo.Priyadarshini Planetarium, Back to Poovar in the evening. Relax & enjoy your comfortable stay overnight. 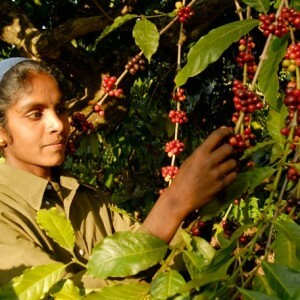 Day 5: Day tour to Ponmudi Hill Station (2 hours drive) – Enjoy the tasty breakfast and proceed to Ponmudi. 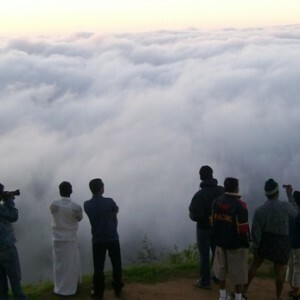 This is a hill station in western Ghats located 915 meters above sea level. On the way see a variety of beautiful mountain flowers, exotic butterflies, Kallar river with rounded pebbles, small rivulets, tea plantations, lush forests, springs etc this place offers excellent trekking possibilities and camping opportunities. During monsoon rivulets and rapids flow across the road. There are 22 hairpin curves in the short distance of 70 KMs from kovalam which makes the travel a thrilling experience. Evening back to Poovar. Day 6: Day tour to Kanyakumari (2 hours drive)–After the Kerala style breakfast travel to Kanyakumari (65 Km, 1.5 hours drive) Visit Padmanabhapuram wooden palace, Suchindram temple, Devi Kanyakumari Temple, Vivekananda rock, Gandhidham and Triveni Sangam (confluence of 3 oceans–Indian Ocean, Bay of Bengal & Arabian Sea). 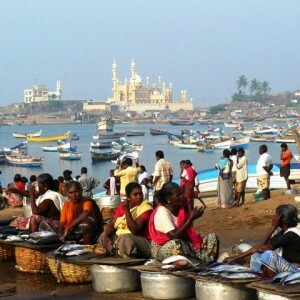 The city is at the southernmost tip of India is especially popular for its spectacular and unique sunrise and sunset, thanks to its being nearly surrounded by ocean waters. On a pleasant, full-moon evenings (Chitra Pournami), one can see the moon-rise and sunset at the same time. The nature of the sand in the beaches of Kanyakumari is unique as it is multicolored. Return to Poovar after sunset. Free at Leisure in the resort with activities of own arrangements. After breakfast we will transfer you to the point of flight or train own time.